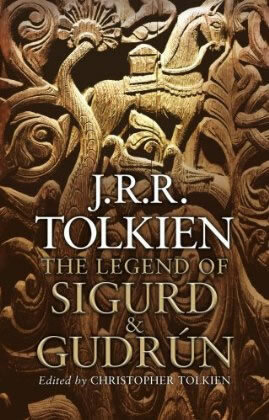 Like the Children of Hurin I have high hopes for Tolkien’s new book, The Legend of Sigurd and Gudrún. But my expectations are quite different since The Legend of Sigurd and Gudrún is not the latest installment of Tolkien’s ‘forgotten stories’ of Middle Earth. Rather it is Tolkien’s retelling of the Norse sagas, that over 70 years ago, inspired Tolkien to sub-create his own mythology for England. Read the Forward by Christopher Tolkien at The Tolkien Library. To better understand and appreciate Tolkien’s literary genius check out Tom Shippey’s The Road to Middle Earth: How Tolkien created a New Mythology. He Who Does Not Read Books Proves He Has No Brain at All! If ever there were an unassailable defense for building a library of great books (and READING them! ), this is it. Listen to my hero, Charles Haddon Spurgeon, explain the great need for reading sound works of theology as he preaches about 2 Timothy 4:13 and Paul’s request for Timothy to bring his books. We do not know what the books were about, and we can only form some guess as to what the parchments were. Paul had a few books which were left, perhaps wrapped up in the cloak, and Timothy was to be careful to bring them. Even an apostle must read. . . . A man who comes up into the pulpit, professes to take his text on the spot, and talks any quantity of nonsense, is the idol of many. If he will speak without premeditation, or pretend to do so, and never produce what they call a dish of dead men’s brains—oh! that is the preacher. How rebuked are they by the apostle! The apostle says to Timothy and so he says to every preacher, “Give thyself unto reading.” The man who never reads will never be read; he who never quotes will never be quoted. He who will not use the thoughts of other men’s brains, proves that he has no brains of his own. Brethren, what is true of ministers is true of all our people. You need to read. Renounce as much as you will all light literature, but study as much as possible sound theological works, especially the Puritanic writers, and expositions of the Bible. We are quite persuaded that the very best way for you to be spending your leisure, is to be either reading or praying. You may get much instruction from books which afterwards you may use as a true weapon in your Lord and Master’s service. Paul cries, “Bring the books”—join in the cry. In case you didn’t know. You can get about 50 titles by John Piper for FREE, here. Thank you, God, for Desiring God Ministries! Bob Kauflin just announced Sovereign grace is having another wicked-good sale this February. Plus there’s free shipping in the continental US (library rate) and serious discounts for international orders too. Because the people of Sovereign Grace know how that a bad economy is not a good enough excuse for people to stop listening to and reading God-centered resources.